Avalon B&B, Glen Road, Glenties, Co. Donegal. Avalon Guest House, Glen Road, Glenties, Co. Donegal. 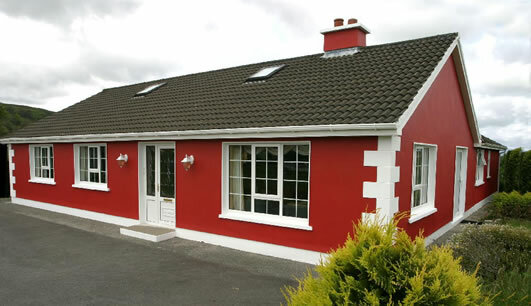 An excellent base for touring the the south west corner of County Donegal is the Avalon Guest House, a smart, modern bungalow where Mary Ita and Hugh Boyle welcome guests for either bed and breakfast of half board accommodation. Avalon has 4 comfortable guest rooms, (3 doubles and 1 twin), three of which are en suite. The food served here is really rather special, always home made and with extra treats such as home-baked bread, buns and cakes. There are menus for coeliacs, gluten free diets and children, and packed lunches are also available on request. The Glenties area has plenty to keep visitors occupied. Golf, fishing and horse riding are all within easy reach and a 10-minute drive will bring you to a lovely golden sandy beach.